DiC vs. Toei: Wicked or Black? 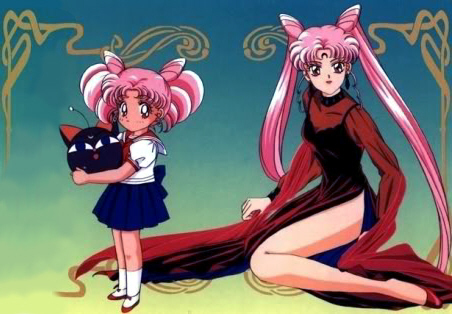 In the second season of the Sailor Moon anime there is a plot in which the character Chibiusa is turned evil by the villain Wiseman, who plays on her insecurities and infuses her with powers that cause her to develop into a full-grown woman. In the original anime produced by Toei Animation this evil incarnation is known as Black Lady, while in DiC’s English dub of the series she is instead called Wicked Lady. Like almost every change DiC made to the series in their dub, this has been a point of contention among fans, many of whom believe the show should have been dubbed with as few changes as possible. I don’t personally support this view and while I don’t think all of the English dub’s changes were good, I will use this article to explain why I support DiC in this particular instance. 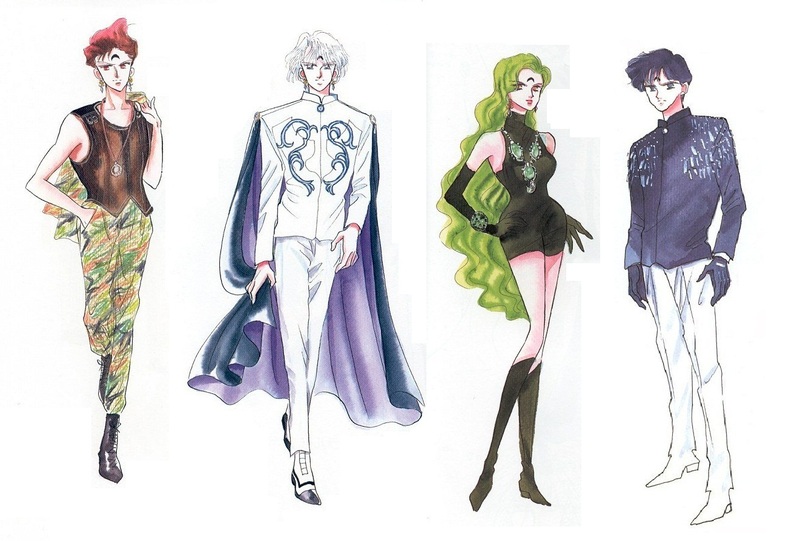 When Takeuchi Naoko wrote the second arc of her Sailor Moon manga, she created a group of villains known as the Black Moon Clan. The group was identified by the downward-pointing, black crescent moon marking on their forehead, in opposition to the White Moon Clan with their upright, golden crescent moon insignia. As you can see from the above picture, color was a large portion of these villains’ identities and the color black was the most predominant and unified feature of their group: Black Moon Clan, black insignia, their power came from the Black Crystal, etc. and this remained the case when Toei adapted this arc into the second season of the anime. When it came time for DiC to dub this section of the anime, however, most of these color identities were modified or ignored. The villains were simply Rubeus, Diamond, Emerald, and Sapphire without their “the Red”, “the White”, etc. subtitles and the word “Black” was eliminated entirely from their group. They were instead called the Negamoon Family and used the power of the Dark Crystal. 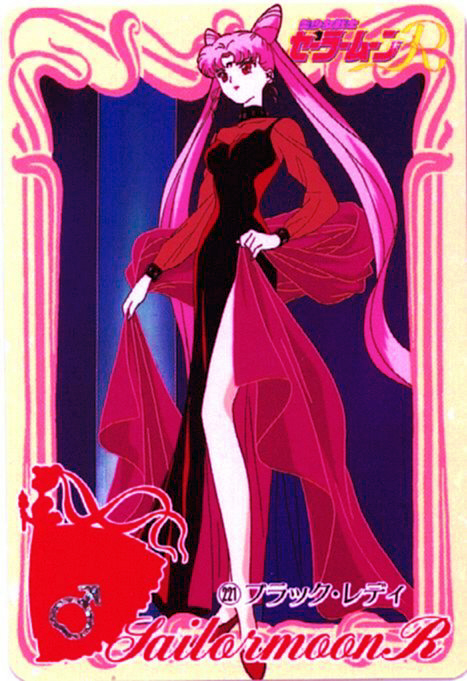 Since the word “Black” no longer appeared in these villains’ name, when Rini (Chibiusa) was turned evil, she was not called Black Lady but instead Wicked Lady. Why was this change made? It’s probably pretty obvious: the title “Black Lady” sounds extremely racist and when the name is used to imply that she is evil it becomes even more problematic. The main reason I’m writing this article today is because I saw someone make the comment “If Black Lady is racist then so is black coffee” and I just felt the need to fully express how much I support DiC’s change in this case. First off, in case anyone thinks the coffee example is an acceptable argument; it’s not. Coffee is not a person and therefore cannot experience racism. Are we all on the same page there? Good, I’m glad. More importantly, the real problem here is using “Black” as shorthand for “bad”. It’s not that this is inherently racist (when referring to things other than people), after all, darkness has long been seen as threatening and frightening and I’m sure that’s the connotation Naoko was going for when she created these villains: the distinction between light and dark. The thing is, when this comes over to the English-speaking world (and in particular the United States) where historically black people have been mistreated and dehumanized at the hands of white people, using “White” to mean good and “Black” to mean evil becomes a problem. It’s been a part of our culture to hear “Black person” and instantly think negatively about them and while there has arguably been improvement since the days of legal segregation, modern children still have negative attitudes towards Blacks and there is absolutely no need to keep reinforcing those attitudes with children’s entertainment. DiC may have been more concerned with being politically correct than with actually fighting a culture of racism, but either way they still made the right decision in using the word “Wicked” to identify evil rather than “Black”.